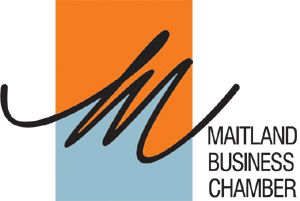 Maitland Business Chamber is a business support organisation that represents, informs and connects the Maitland business community. The Chamber advocates on behalf of members to protect business interests in Maitland, promote a healthy economy and provide a secure future for the Maitland region. * Aboriginal business, career and employment support. 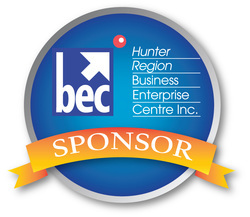 Hunter Life Education is a non-profit community-based and community-funded organisation working with Government, Educators, business and the community to build in resilience in our region through the delivery of alcohol, drug and healthy lifestyle education for children in the Hunter. Hunter Life Education has a reputation for innovation, striving for standards of excellence, and developing in children self-esteem, effective communication skills and decision making abilities that will now and in the future enable them to make healthy life choices. The effectiveness of positive health messages is enhanced when the message is reinforced over time, across curriculum and within the home and community. Our vision is to ensure every child in the Hunter has the skills and knowledge to make healthy lifestyle choices. Every year over 30,000 children in the Hunter learn through Life Education that the heights to which they can aspire are limited only by the choices they make. Mission: To empower school age children in the Hunter to make safer and healthier choices. Vision: Generations of confident healthy Hunter residents living to their full potential. MA Technology Solutions is committed to making a difference in the local Maitland community. We have reached out to assist The Mai-Wel Group, a large disability service provider in the lower hunter, who reach more than 900 clients. The Mai-Wel Group is focused on developing opportunities that advance the lives of people with a disability, allow the individual to realise their goals for life and provide access, integration and opportunity for all. The Mai-Wel Group began in 1960 when a group of families met and shared their vision of an education and opportunities for life for their children with a disability. How is MA Technology Solutions involved with The Mai-Wel Group? MA Technology Solutions are proud supporters of Mai-Wel Group; fundraising through our participation in the Hunter Valley Running Festival July 2012. If you would like to support MA Technology Solutions on their Winery Marathon, visit fundraising page by clicking here. The Maitland Hospital Foundation is a separate not-for-profit entity from The Maitland Hospital. The Foundation works closely in partnership with the hospital to determine funding needs. The Foundation will provide a permanent source of funds, external to the hospital's 'normal' Government funding to support the ongoing development of comprehensive, high quality health services for our community. The Maitland Hospital Foundation, through its Board, staff and volunteers will develop key community partnerships and fundraising sponsorships to facilitate important achievements for the hospital and the general health of the community. Funds raised by MA Technology Solutions will be used to provide additional state of the art equipment and facilities, support education and training of staff and make improvements that will enhance the patient and carer experience when they access the hospital. How is MA Technology Solutions involved with MHF? MA Technology Solutions have been fundraising through our participation in the Maitland River Run May 2012.